As far as car tech goes, streaming your lovingly crafted driving playlist via Bluetooth or backing up with your fancy rear camera is all well and good. But look, there are cars out there that basically drive themselves, so it's time to up your technology game. 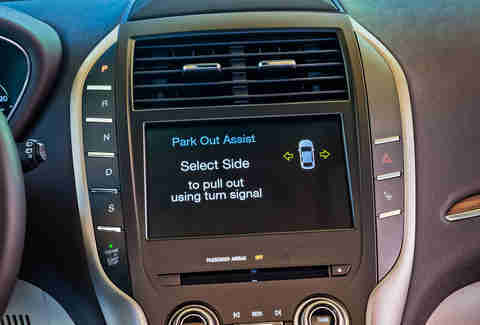 Some big features on the market right now are really freaking cool and useful -- you may already have them in your car! Right now! Or if you don't, you will very, very soon. How widespread is it? Very. You can even install it in your older car, if you want. What it is: Most cars today come with an infotainment screen, but getting navigation capabilities requires an upgrade. Both Apple and Android have their own solution to the increasingly complex infotainment/navigation mumbo jumbo you get from manufacturers. Plug your smartphone into the USB port for CarPlay or Android Auto, and you can mirror your apps (like Maps) onto the screen with the same easy touchscreen functionality as your phone. It also routes calls directly through the in-car audio. Will you use it every day? Once you see how easy CarPlay and Android Auto are to operate, you'll find it tough not to use it. How widespread are they? Very. If you've bought your car in the past few years, it was probably an option. What they are: Many car companies offer special apps that customize the way you interact with your car. Systems like Toyota's Entune provide almost the same functions and capability as CarPlay; Tesla's app allows drivers to see metrics like range and battery level; and many General Motors apps let you remotely start the car or unlock the door from virtually anywhere. Download your car manufacturer's app in an app store, input your VIN and verify some personal details, and you're off and running. Will you use them every day? You just might. How widespread is it? If you've got SiriusXM satellite radio, you've got this. What it is: Ever turn on the radio at the tail end of a really great song? The functionality of satellite radio allows you to "rewind" to hear it again, or fast-forward through a song you hate. Just use the standard reverse and fast-forward buttons. Will you use it every day? If your jam is top 40, probably not. But for those obscure deep tracks you don't want to miss, here's the cure. How widespread is it? It's fairly widespread already. What it is: Some people just can’t park... much to the detriment of other motorists who care about their personal space and/or property. Automatic parking assist turns mediocre parkers into champions with the push of a button. Approach a parking lot at low speeds, and the car uses sensors to judge if there's room to parallel (or perpendicular, in some models) park. A beep indicates when the car has found a spot. Hit reverse and let off the brake, and then select drive to finish the job. The car does the hard part of not hitting anything. Will you use it every day? Even if you live in an urban area, you probably won't let your car park itself all the time. Building trust with the electronic system is an iterative process, and in a close call between car and stationary item, it's still the driver's responsibility to have common sense and make sure there's no contact. How widespread is it? The 2016 BMW 7-Series is one of the first with it, but you'll see it everywhere in a few years. 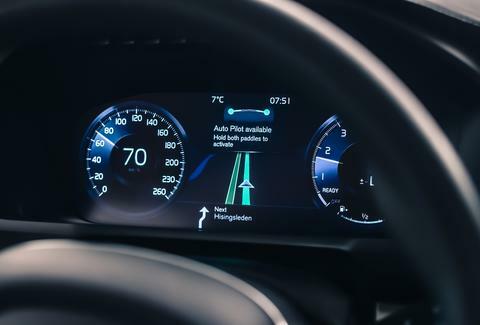 What it is: Thanks to the never-ending oneupmanship between Mercedes-Benz and BMW, it's now possible to command your car by pointing, swiping, and pinching. It's called "gesture control," and if it proves successful, a trickle-down effect could bring the functionality to other cars. Just watch your personal hand gestures when you start playing road professor, alright? Will you use it every day? Probably not. At least, not yet, unless you're a stubborn early adopter. How widespread are they? The basic version is pretty common, and more advanced versions are starting to roll out. It varies by manufacturer, but look for the icon with an "A" by your headlight controls. What they are: When it comes to anticipating extremely dark conditions, your car is probably smarter than you are. 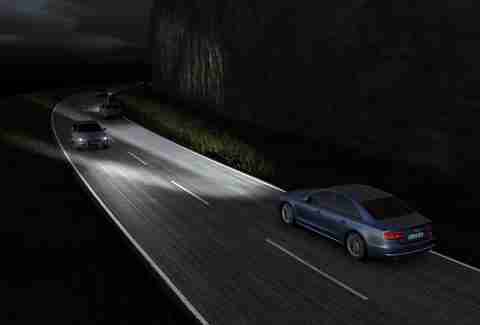 Now that automatic headlights are a mainstream feature, most cars come equipped with a sensor that detects darkness. The ones with LED headlights have additional sensors that can pick up on oncoming cars and respond to them, because if you don't blind them, they're less likely to hit you. Will you use them every day? Definitely. It's a relief to know that your car is looking out for you. How widespread is it? It's evolved from a high-dollar option on luxury vehicles to become more readily available on affordable sedans, from the 2016 Honda Civic on up. What it is: The best way to relieve the stress of bumper-to-bumper traffic? Let your car do the work. For cars that are equipped with adaptive cruise control, traffic jam assist is a game-changing feature that will accelerate, brake, and steer for you. Set the cruise control to a comfortable highway speed, and let the car modulate the distance between cars and keep you in lane. Will you use it every day? Yep. Whether you're stuck on some freeway hellscape like the 405 or have a more scenic route home, there are plenty of uses for this feature. How widespread are they? It's nearly at ubiquity already. What they are: Steering wheel-mounted paddles let you live out your Formula One fantasy on an automatic transmission. In most cars, a tap of the downshift paddle automatically engages manual shifting, but in some vehicles, you'll need to be in "manual" mode first. Then, change gears to your heart's content -- unless the car's computers deny you an upshift or downshift, which they do to ensure you won't cause any damage shifting for yourself. Will you use them every day? On a dressed-up family car, like the Honda Accord, you might not. But you'll find yourself wanting to execute crisper, more satisfying shifts in something like the VW GTI, with a transmission that can truly make the experience enjoyable. How widespread is it? Very. You either have it already, or your next car will. 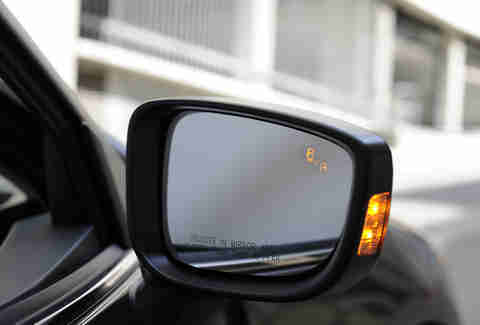 What it is: It's like a second pair of eyes to help eliminate blind spots. Radar monitors alert you to passing cars and trucks, so that it's easier to judge whether it's a good moment to change lanes. In most systems, a light or audible signal will appear on the side of the car where the other vehicle is located. 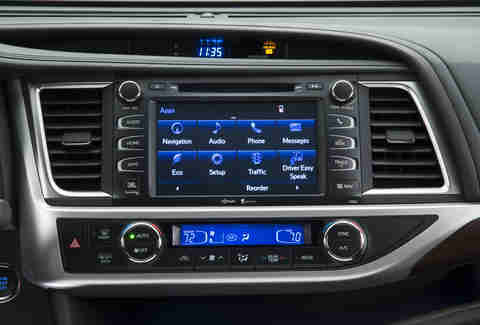 In Honda's system, Lane Watch, a video feed from the right-side camera will appear on the infotainment screen. Will you use it every day? You'll never want to turn it off. It's no substitute for actually checking your mirrors, but it's still a great backup. You might want to adjust audible alerts, lest your friends begin think of you as a poor driver, what with all the incessant beeping and all. Jeff Jablansky is a contributor to Thrillist Cars, and is looking forward to the day when he can rewind music in a car without having to check his blind spot. Follow his gesticulations: @unclewithcars.